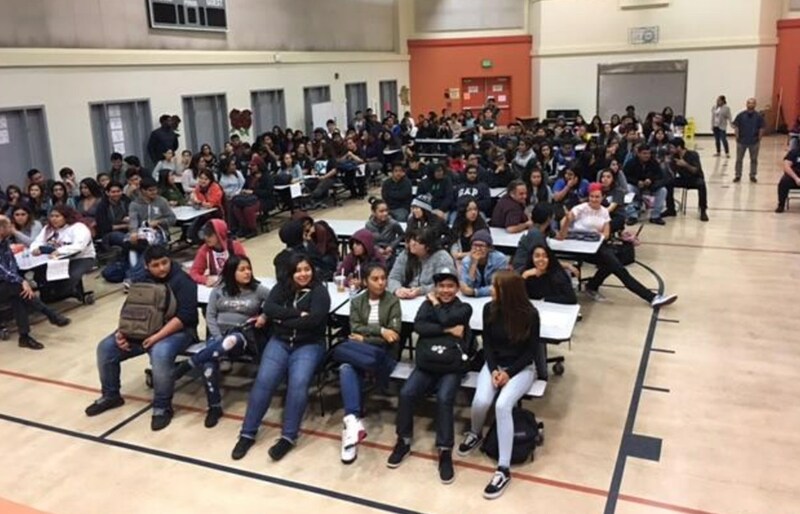 ARISE High School is proud to partner with EnrollOak.org to help you choose the best Oakland public school - district and charter - for your child. ARISE High School is a public school, free and open to all students. English language learners and students with disabilities are encouraged to apply. Get started now at EnrollOak.org. The open enrollment application deadline for ARISE High School for 2018/2019 was on February 16, 2018. Applications received by this deadline will be included in our lottery, held on Wednesday, March 7th at 5:30pm. On Monday, March 12 you should see all your charter school lottery results (OFFER or WAITLIST) in your student dashboard and at that time you can ACCEPT/DECLINE an offer. The deadline to ACCEPT/DECLINE a charter school offer is March 29, 2018. If you do not accept by this date, the charter school lottery offer(s) will expire. Once you accept an offer, offers from other schools will be automatically declined. You can remain on waitlists but may only accept an offer at one school. If you missed the February 16, 2018 deadline, you will still be able to submit an online application for 2018/2019 starting February 21, 2018. Applications submitted after the February 16 deadline will be considered a Round 2 Application - you will be placed on a waiting list at each of your selected schools, and/or offered enrollment if space becomes available. Round 2 applicants will be placed on waitlists on a first-come first-served basis. Does not discriminate on the basis of race, color, religion, age, gender, gender expression, gender identity, sexual orientation, citizenship, disability, national or ethnic origin, or achievement level, in administration of its admissions policies or education programs. Admission Preferences: Siblings of alumni and siblings of current students enrolled in the current school year. If you wish to take a campus tour, please contact ARISE’s main office at 510-436-5487 and dial 0 to speak to Lucy Medina and schedule a tour appointment. If you wish to apply for the current school year (2017-18) please complete an application through EnrollOak.org.